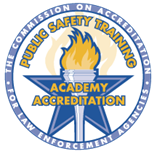 Wake Tech’s Public Safety Leadership Academy is offered at No Charge to to sworn personnel in NC Municipal, County, or State law enforcement agencies as identified by the Department of Justice’s Criminal Justice or Sheriffs’ Standards Divisions. Certified Credible Leadership III (CCL III) builds on CCL I & II by addressing the balance of humanistic and tactical approaches to law enforcement leadership. 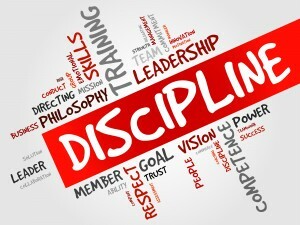 CCL III focuses on understanding the human factors of police leadership and how if used effectively, it can change the internal culture and external perception of an organization. CCL III is steeped in emotional intelligence and self-realism, containing modules featuring Advanced Emotional Intelligence, Human Factors in Policing, Adaptive Leadership, Authentic Leadership, Servant Leadership, Credible Leadership, Toxic Leadership, Community Leadership, Tactical Leadership and the Moral Compas s for Law Enforcement Professionals. Each of these modules are designed to make students take an introspective look at how they apply leadership practices both internally and externally. As with CCL I & II, CCL III contains segments from experts in the field of organizational leadership that reinforces the curriculum. This Phase will tie the previous two Phases together and prepare students for the practical applications involved in CCL III. “Moral Compass for Law Enforcement Professionals” By Normore, T; Javidi, M; Normand,N; Anderson, T; Scott, W; & Hoina, C. (2014). “Emotional Intelligence: Why It Can Matter More Than IQ” By Daniel Goleman (2005). Be able to identify the 5 Marks of Authentic Leadership. Be able to identify the 3 Human Factors with the greatest influence on improving safety. Know how to create a strategy to increase your Leadership Credibility. Be able to identify symptoms of Toxic Leadership. Be able to define Cynicism and its effect on Law Enforcement.